Read this storybook retelling of the first third of the new Star Wars: Episode VIII: The Last Jedi film. The movie projector and 20 images add to the adventure! Relive Star Wars: The Last Jedi in your very own home! 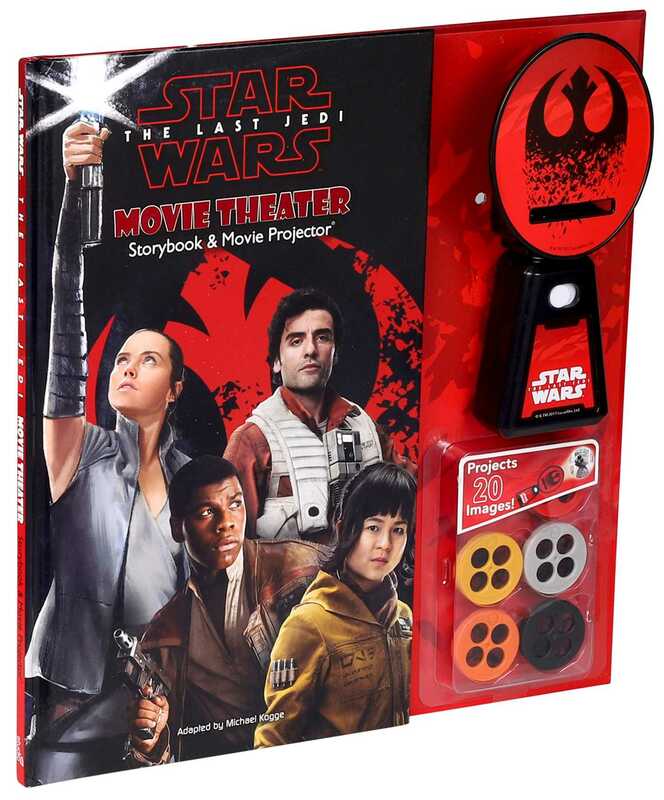 Featuring a compelling retelling of the first third of this blockbuster hit starring Rey, Finn, and Luke Skywalker, this Movie Theater Storybook also includes a cool image projector and beautifully illustrated artwork. Prompts throughout the storybook let you know when to project the movie scenes on your wall for an interactive storytime experience with exciting new characters like Rose Tico and adorable porgs!